Skeleton of foot. Superior view. Metatarsus shown in green. 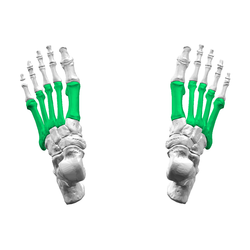 Skeleton of left foot. Lateral aspect. Metatarsus shown in purple. This page was last edited on ४ जुलाई २०१४, at १८:११.